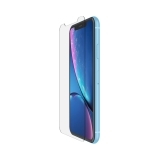 ScreenForce ® TemperedGlass Screen Protection for iPhone XR is rated 4.7 out of 5 by 38. Engineered to be stronger than regular glass, TemperedGlass provides resilient, hard-wearing protection for your phone screen. 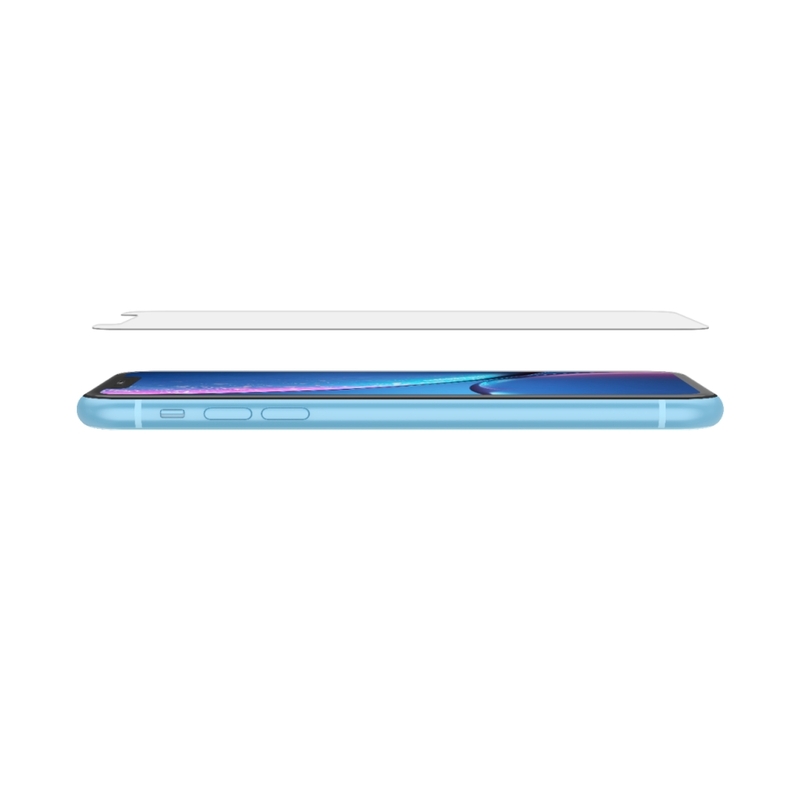 Manufactured using premium Japanese glass, it retains the smooth glide and feel of the screen, and is tested extensively to deliver the brightness, sharpness and clarity you expect from your iPhone. The Easy Align tray enables simple and precise application, to provide maximum protection. 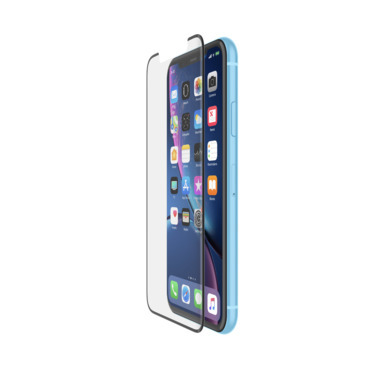 Engineered from premium Japanese tempered glass, our TemperedGlass screen protection provides multi-level protection. It is extensively tested to withstand deep-level damage caused by occasional drops and impacts. We also subject it to rigorous testing to protect your screen from surface-level damage from contact with hard, metal objects such as keys and coins. Proven in testing to have a hardness rating of 9H, it’s the highest level of scratch protection available. We test our screen protectors to the highest optometric standards. Designed and engineered from high quality, durable Japanese glass to deliver the brightness, sharpness and detail you expect from your phone screen. The result is a crystal-clear protective layer that provides the same visual experience as the device itself. Glass composition means your finger glides smoothly over the screen protector, just like it does over your device screen. The super-thin 0.33mm glass preserves touchscreen sensitivity to respond accurately to your touch. What's more, it has been engineered with fingerprint and oil resistance to help keep the screen feeling clean and looking clear. 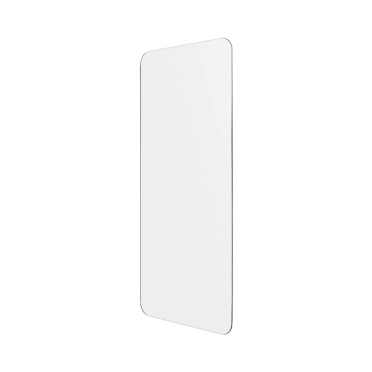 A precisely applied screen protector provides greater protection for your iPhone. 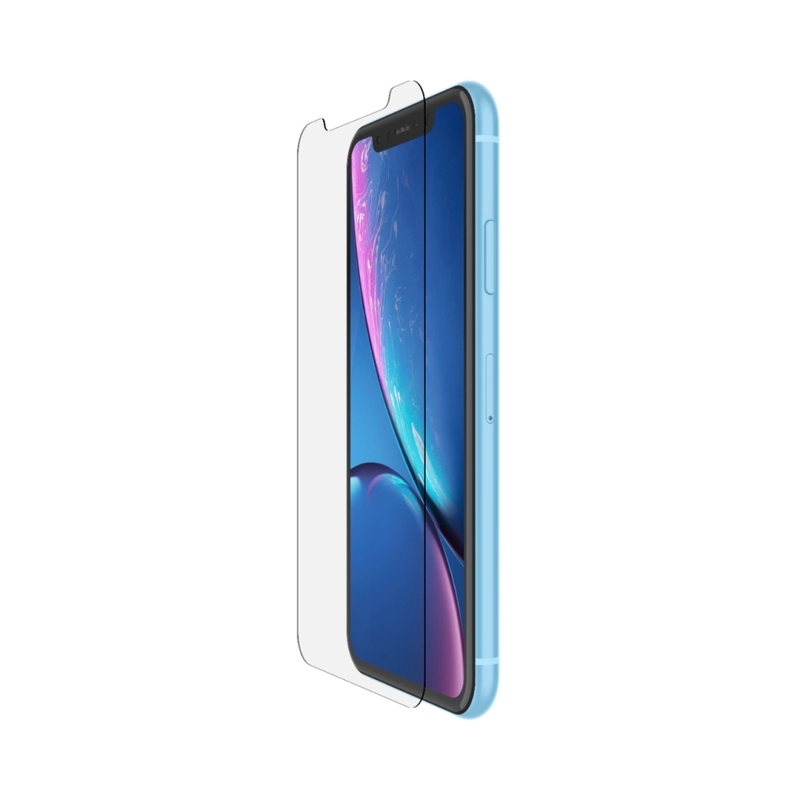 TemperedGlass Screen Protection can be professionally applied to your smartphone by a trained professional, using a specially-developed application system. If you can't make it to your local participating retail location, we've included an Easy Align tray to add precision to any application. 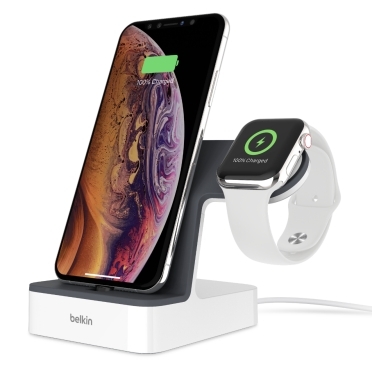 The ScreenForce TemperedGlass Screen Protector is covered by Belkin's Limited Lifetime Warranty. This commitment to performance in protection provides added peace of mind for consumers. †US and Canada only. 2-Year Limited Warranty elsewhere. Rated 5 out of 5 by vertibray from Simple to Install and Does the Trick The tempered glass on the Screen Force is similar to others on the market. It is definitely better quality than others that I have used in the past. What I really liked about this one was the included accessories for the installation. 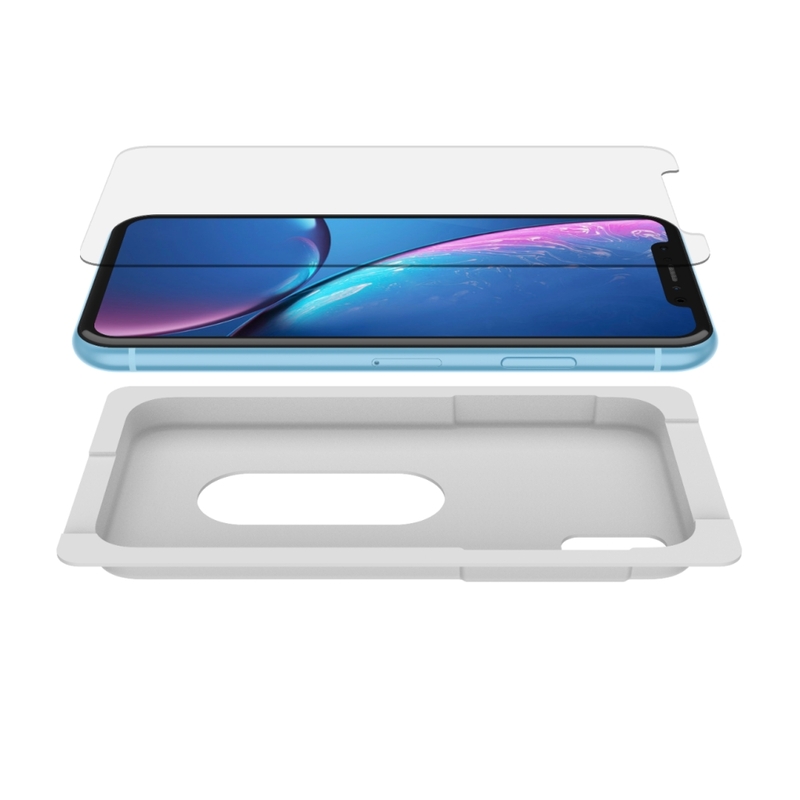 This glass includes a tray, along with other items, that made alignment of the glass to the phone flawless. So many times I have had to realign other products that use stickers for alignment, where this application was easy. With the ease of installation came a bubble-less application. 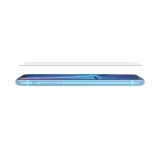 This is important, because it adheres to the phone completely removing any risks to the performance of the glass. I have had some slips and bangs on the phone, and the glass has protected it. I have not tried to push the glass to its potential; however, it is definitely performing in my daily use. I recommend this glass for its ease of installation and protection it provides. 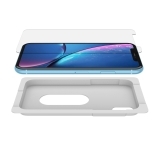 Rated 5 out of 5 by Boca Dave from Great product, easy to install and offers iPhone p It is very expensive to replace your iPhone screen if it becomes damaged. 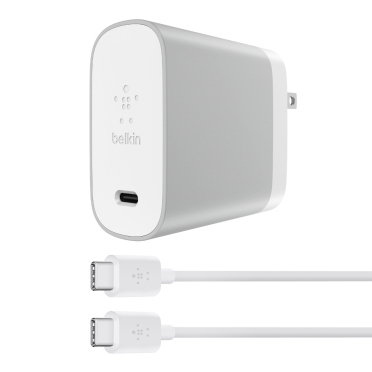 Belkin's ScreenForce Tempered Glass offers protection of your screen and is easy to install. Anyone with an iPhone should have this screen protector. Rated 5 out of 5 by Whatishwang from Easy install The easy install set up is great. 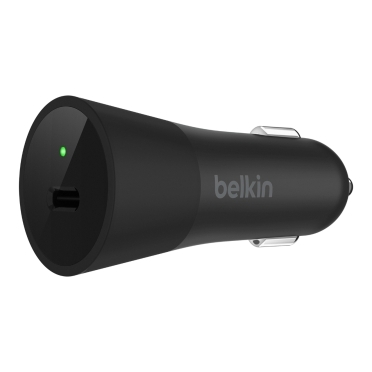 I hope Belkin always includes these with each of their screen protectors. Rated 5 out of 5 by ScottSkar from Easy application, Better Protection! I’ve never been a fan of glass screen protectors, but this one may have won me over. It was very easy to apply to my phone, and still allows my phone to perform like there’s no protector on there. This product hugs the screen perfectly. Rated 5 out of 5 by Steff from Easy to Install! I was a little nervous to install my own screen protector and almost asked someone else for help but then I noticed a pleasant surprise...The instructions provided a link to a VIDEO showing you HOW to install it! I watched the video, and it helped me understand the instructions that were on paper. After going over the paper instructions I watched the video one more time to learn the steps by heart. Super easy and perfect to install. It arrived just in time to since my previous screen protector cracked shortly after this one arrived. I’m very happy with how easy it was to install. I also like the fact that it’s completely clear and maintains the quality of pictures and video. Highly recommend!! Rated 2 out of 5 by ALORTIZ from Broke easily I got this in the mail a couple of weeks ago and it broke pretty easily. To be specific the edges started coming off my screen, it started catching on my pocket, and eventually it wasn't worth keeping it on my phone. I decided to go to the local store and purchase an all encompassing case. Rated 4 out of 5 by jonarogers from Easy affordable way to protect your phone! Application of the screen protector was easy and forgiving. Was able to adjust it without trouble. Feels solid like it can take a pounding and won't be damaged. Feels like it will last the life of my phone and allow me to resell it at a high value! Rated 3 out of 5 by SASAJones from Flat glass screen protector I have moved away from the flat glass screen protectors since most all devices have curved front glass. This flat glass seemed to be sturdy and rugged, but that made it thick. The edges all the way sound the screen are very visible and you catch your finger on them. I would suggest an upgrade to the fitted protectors.